This week’s featured posts are “Political Violence is Our Issue Too” and “Why I’m Still Skeptical about the Progressive Revolution“. House Majority Whip Steve Scalise has never been my favorite congressman, for what I still think are good reasons. But I wish him a full recovery. If democracy is about anything, it’s about resolving our differences without shooting at each other. The larger issues that come out of this shooting — how fake news and wild rhetoric contributes to violence — are covered in a featured post. Humorist Andy Borowitz nailed Jeff Sessions’ testimony to the Senate Intelligence Committee: “Man Ravaged by Amnesia Somehow Able to Hold Down Demanding Legal Job“. Sessions’ testimony boiled down to three assertions: (1) He didn’t do anything wrong. (2) If he did do something wrong, he has no memory of it. (3) He’s not going to answer any questions about conversations he had with Trump, but he refuses to state any legal grounds for not answering. Dems act like they never heard of atty/client privilege; AG is top atty in Exec branch; serves @POTUS and not stooge of Congress. The attorney general is not the president’s lawyer. He is managed by the president, but he works for the United States. What worries me most about Trump is his third-world-dictator tendency to personalize authority that is supposed to be institutional. As president, Trump leads the executive branch, but he doesn’t own it. Commentators like Huckabee do a disservice to the country when they encourage that delusion. More legal misinformation came from Newt Gingrich, who seems to have forgotten that he supported an obstruction of justice charge against President Clinton. Technically, the president of the United States cannot obstruct justice. If he wants to fire the FBI director, all he has to do is fire him. That’s nonsense, and the correct principle is not hard to understand: Even when an official is exercising legal powers, motives matter. Legally, the highway cop who pulls you over for speeding has the discretion either to ticket you or to let you go. But the why matters: If he lets you go because you gave him $100, that’s illegal. Same thing here. Trump has the legal power to fire the FBI director. He doesn’t need a good reason; if he’s just grumpy that day and wants to take it out on somebody, that’s enough. But if he has a bad reason, it might be illegal. 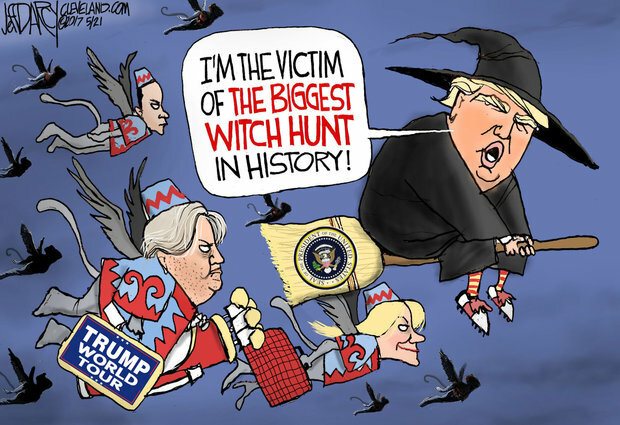 In particular, if he did it to shut down an investigation into possible crimes committed by himself, his friends, or his administration, he has obstructed justice. Last July, Castile was driving with his girl friend in a suburb of St. Paul when a policeman in Minnesota stopped them, believing they “just look like people that were involved in a robbery.” (Castile had been stopped at least 46 times in the previous 14 years.) Castile had a license to carry a gun, and had a gun with him. According to the girl friend, the policeman asked for Castile’s driver’s license, Castile told him there was a gun in the car, and when he reached for his wallet to get his license the policeman started shooting. Friday, a jury found the officer not guilty of manslaughter. I hate to second-guess juries, since I didn’t hear all the evidence and they did. 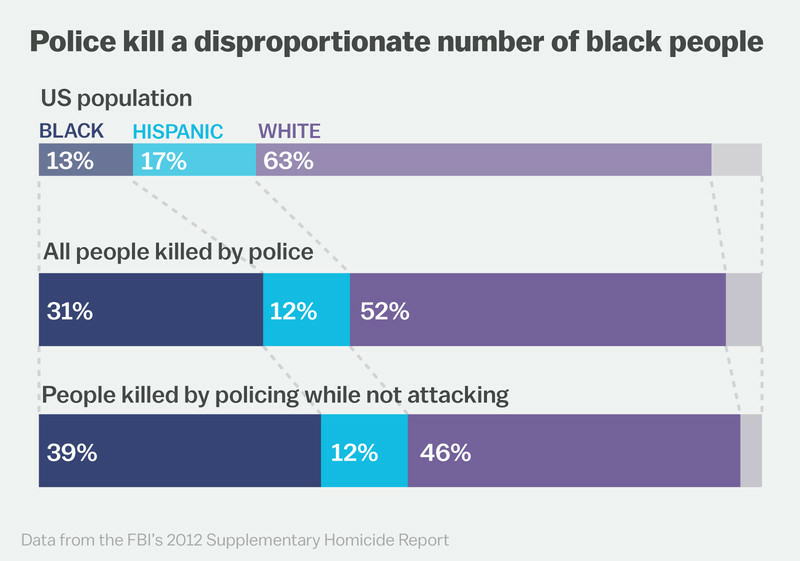 But Castile really seems to illustrate the problem of police and black people, especially young black men. Castile, in fact, wasn’t the burglar they were looking for. Nobody can pinpoint exactly what he did wrong, but now he’s dead. This kind of thing happens a lot. If you’re parenting a young black man, what can you tell him that will keep him safe? The Castile case also illustrates what I’ve called “the asterisk in the Bill of Rights“: Constitutional rights don’t apply to blacks in the same ways as they do to whites. On its face, the Castile case would seem to have all the trappings of a cause célèbre for the NRA. The group’s most fiercely held belief is supposed to be that law-abiding citizens shouldn’t be burdened—let alone killed in cold blood—by repressive agents of the government just because they want to protect themselves and exercise their Second Amendment rights. … If Castile had been white instead of black, the NRA would have been rallying behind him and his family since the moment of his death, and fundraising off his memory for the rest of time. The Castille verdict contrasts with a guilty verdict in what seems to me to be a much more nebulous case: Michelle Carter and Conrad Roy were two depressed teens who only met a handful of times, but texted back and forth constantly over a two-year period. Roy repeatedly talked about killing himself, and while Carter initially encouraged him to seek treatment, eventually she accepted his claim that what he really wanted was to be dead. They discussed suicide techniques together, and when Roy texted that he was backing out of his planned attempt (he got out of a truck filling with carbon monoxide), Carter called and urged him to go through with it, which he did. Friday, a Massachusetts judge found her guilty of involuntary manslaughter. This seems weird to me in lots and lots of ways. The Democratic side of the primary was supposed to be the story: It was billed as a “battle for the soul of the party” between the establishment-supported Ralph Northam and the Sanders-and-Warren upstart candidate Tom Perriello. (More about that in the other featured post.) But that turned out to be a surprisingly easy Northam victory. The real story turned out to be on the Republican side. What shocked observers instead was the Republican primary, where Corey Stewart — a Confederate sympathizer and onetime campaign official for Donald Trump — came within just 1.2 points of beating former Republican National Committee Chair Ed Gillespie. A lot of us, in our analyses, made a fundamental mistake. We assumed that because Trump’s approval ratings were so low in the state, there was no way someone like Stewart could have a chance at winning the primary. But what happened tonight is that the 37 percent of Virginia voters who said Trump is doing a good job came out and voted for Cory Stewart in a Republican primary. They’re still a potent force. The other conservatives — the Republicans who don’t think Trump is doing such a good job — they didn’t come out as much and vote for Ed Gillespie. In the end, it’s partly an enthusiasm thing. There’s far more enthusiasm on the “populist,” “rebellious” side of the party right now then there is among the middle of the party. And that suggests that congressional Republicans might be in trouble in their primaries if they break with Trump. The Republicans disillusioned with Trump might be too depressed to vote. A few Senate Republicans are grousing about the secret process Mitch McConnell is using to push ObamaCare repeal forward, but they’re going along with it anyway. Here’s how McConnell plans to get the proposal passed. People looking for a precedent for this no-hearings no-debate approach to a major bill have reached back to a Wilson-administration tariff bill. That’s how unusual this is. Oh, that stuff during the campaign about Trump doing some hard negotiating with the drug industry and getting prices down? Never mind. He’s rolling back some of Obama’s opening to Cuba, and he’s doing it in a way that hurts his business competitors. Coincidence? Stuff at Whole Foods is already priced high enough; imagine offering 27% above market price for the whole company. That’s what Amazon did Friday, making a $13.7 billion offer. Paul La Monica at CNN Money thinks it’s a brilliant move. The key to this deal is that it shows the genius of [Amazon founder] Jeff Bezos. Of course, it’s too soon to say whether buying Whole Foods for this amount of money will be a success, but keep in mind: No one was even speculating that this deal was going to happen. … This just goes to show that Bezos is thinking about things that no one else on the planet is even considering. One problem springs to mind immediately: Amazon is all about undercutting on price, while Whole Foods is about charging top dollar for something presumed to be better. I’m not sure how that mixes. In some sense, though, even Amazon’s $42-per-share offer represents a mark-down: Whole Foods stock peaked around $65 in 2013. The high-end grocery market has gotten much more crowded and competitive since then. (Wegmans, Sprouts, Trader Joe’s, and other similar chains have all expanded, plus farmer’s markets and other boutique food sources.) And publicity like this John Oliver segment in 2015 didn’t help. The people he has nominated to the National Labor Relations Board might make nearly impossible to unionize. That cabinet meeting where all the secretaries took turns praising Trump reminded me of something out of the Third World. And it underlined just how well Trevor Noah had Trump pegged in 2015. Amazon, destroyer of book stores, succeeded in part because they offered savings (by not operating expensive local stores) and selection (for a while my city had a monstrous Barnes & Noble, a monstrous Borders, and a monstrous university bookstore, but I still had to special order many titles). Amazon, would-be destroyer of grocery stores faces a market with very thin margins that requires operating those expensive local stores. And the selection in my local supermarkets is amazing. So what is Amazon going to compete on. Whole Foods might have been a reasonable purchase a few years ago when they dominated the higher margin luxury grocery market, but options are expanding, and luxury grocery stores will never serve the mass market. Amazon has also paradoxically helped small neighborhood bookstores stay in business, by offering them access to a market far beyond what their immediate neighborhood could support. This has come at the cost of losing places like Borders and Books-a-Million, because Amazon can undercut them, but if you’re looking for an obscure, out-of-print title, chances are some small bookstore is selling it on Amazon. Not only that, it aligns with one of Amazon’s niche offerings – Amazon pantry. It’s a good way of gaining access to a larger supplier network. And frankly – Whole Foods customer base is the base you want. They usually are already Amazon members already and they have a high disposable income (or they have credit). so the sad/funny thing is – my friend and I didn’t know which supermarket’s stock to purchase (if we could). Regarding the Carter conviction, it is not so weird if you parse the elements of involuntary manslaughter, which can impose criminal liability for causing the death of another, even if you did not have the specific mens rea to kill the person, you just need to be “wanton and reckless.” Evidence at the trial showed that after the death the defendant told her friend that she had told the victim to get back into the truck when he had gotten out and told her he didn’t want to “do it,” i.e., commit suicide. While the prosecution did not have a recording of the call, the phone records proved that she was on the phone with him at the relevant time, and her own statements, while arguably hearsay, fell within the hearsay exception of being a statement against penal interest. The judge then ruled that given the totality of the circumstances that her directing him to get back in the truck was wanton and reckless, particularly since at no time did she either try to get him help, or call the police, or his family, or anyone who could have intervened to stop the suicide. The defense argued that she should not be held responsible because the victim was clearly suicidal and if he hadn’t done it then he would have done it at some point, which might be the lamest defense I have ever heard. If she had been present at the scene, urged him to get into the truck when he said he didn’t want to go through with it, and then watched him die and drove away maybe it would be a lot easier to see the criminal liability, but I think the verdict was correct. I’d like to report a bit of news. I was one of 650 volunteers for OneVirginia2021 working the Virginia primary polls this past Tuesday to stop the practice of gerrymandering. OneVirginia2021, a non-partisan group, started in 2013 and initially had 40 volunteers working the polls — from 40 to 650 volunteers in just a few years. I truly hope this statistic reflects some positive change here-and-now and to be coming.